Whether you are in a relationship or not when it comes to love the most important person you need to pay attention to is yourself! It’s human nature to run to another’s needs or put your feelings aside, work long hours to achieve your dreams and support your family the list goes on and on right?! The relationship you have with yourself not only effects you and your happiness but everything around which is why you need to be conscious of every thought and feeling. 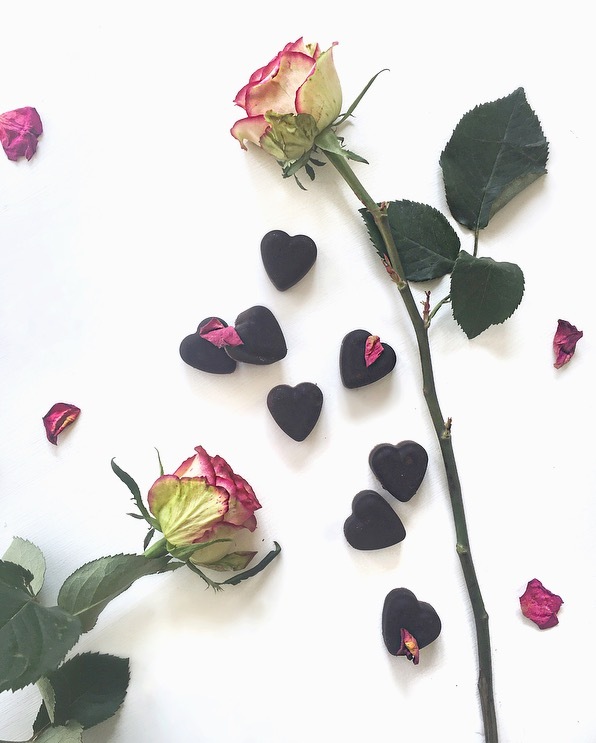 They literally create your reality and the person you are, which is why I’m sharing 5 Ways Of Practising Self Love On Valentines Day and every single day after it! I’m starting off with the most important one. Making a bit of time for yourself everyday is the most important step to self love. I can already hear the floods of excuses going through your mind as to why you don’t. Work, family, kids etc and I completely understand that. You shouldn’t feel guilty you’re doing your best. It all comes from your heart but this step will make you feel a little closer to your happy self. It can be for as little as 10 minutes a day for you to make time for yourself. Sit with your favourite book, walk in nature, make yourself your favourite meal or sit in complete silence with a calming essential oil burning. Take time to reconnect with yourself and quiet the mind as it has a huge impact on how you feel. This may be something that you might not have thought of but the space you are surrounded by, living, work, bedroom, in fact any space in your home has an effect on you and your mood. So organising space by space and getting rid of things you don’t use or need will free up more space giving you and your home some space to breath. Keeping on top of the house work is also important. I do a deep clean monthly, have a top up clean weekly and just make sure I put things away and keep things neat. That way cleaning the house doesn’t seem like such a huge task. I always feel so much better and more productive when my home/work space is organised. Another area you need to think about decluttering and organising is the people that are in your space. Make sure the people you surround yourself with are positive, kind, supportive and loving. Who are there for you when you really need them. The energy of your inner circle is contagious so be picky with who you let in. Give your home a breath of fresh air by opening a few of the windows throughout to replace that stagnant air. More and more studies are showing that the air in our homes can me more toxic than the air outside. This is my favourite part and most fun! Treat yourself as much as you can, you deserve it. Whatever it is you get happiness from DO IT! These can be big treats like going to a spa and getting a massage to booking a trip away. Even going for food to your fav restaurant with a bunch of friends, or even the theatre. To smaller things like having a piece of your favourite chocolate everyday, taking up a hobby that you’ve always wanted to do. Or put on your favourite tunes and dance like no ones watching. I’ve listed the things I love doing to inspire you, go ahead do yours. What you eat has a massive impact on how you feel about yourself. I have a very simple way of looking at it. Living foods like fresh fruit and veg, foods our planet has given us that haven’t gone through a process, which are as close as possible to their original, vibrant, living state. Will make you feel alive, look good and feel good. Processed, packaged, sugary and refined foods will make you feel bad and have a negative effect on mental health. They have absolutely no energy behind them. I call them dead foods. Be conscious of what you consume everyday as each thing will become part of you. Fill your body with food and drink that nourishes it and makes it thrive and in turn you will feel good and get a step closer to your journey to self love. Most importantly, don’t take life too seriously! Good comes with bad, people come and go and your reality keeps on changing. Enjoy your journey because everything happens for a reason, that may sound cliche but it really does. Trust in the process and smile, forgive, forget others and let go. Not for anyone else but for yourself. Holding onto any negativity will only diminish your light and weigh you down. A fantastic book I really recommend for you to read is Letting Go by David R Hawkin . This book really helps you to understand the mechanisms for letting go. I often re read this, it really shifted something inside of me for the better. Thank you so much for writing this post! Love the 5 ways you’ve written here. Thank you for taking me a step closer to loving myself.